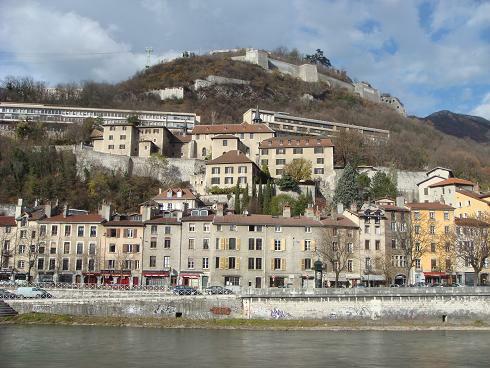 The Bastille is the name of a fortress dominating the city of Grenoble at the foot of the Alps by more the 250 meters. Is has been built on the mont Rachais, which is the most southern mountain of the massif de la Chartreuse. 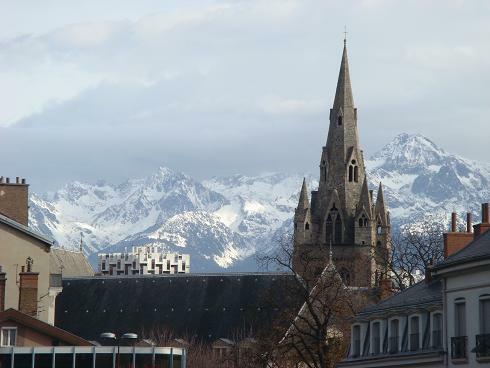 This strategic place has been chosen to control and defend the city and the surrounding valleys of the Isère and Drac rivers in the 19th century. When walking up the endless stairs to the fortress you will fully understanding why the fortress was very difficult to attack in its position on top of the rock. Start straight off the city center, near the departure of the cable-car (the locals call them the "eggs"; you will notice why). There are a few parking lots along the Isère river. 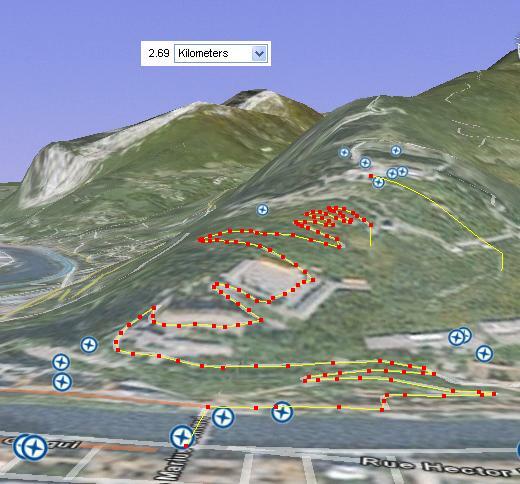 Google maps: Here is the Google Map link to Grenoble, La Bastille. The track: The total length to the top is about 2.7km, or 5.4km if you run the same way down. The difference in altitude is roughly 300m, so be assured it will be "up the hill". The slope is partly very steep. It is mainly off-road, sometimes you have stairs to take. Water point: I guess there is none on the way. However, you can take a rest when reaching the fortress, there is a drink seller there. 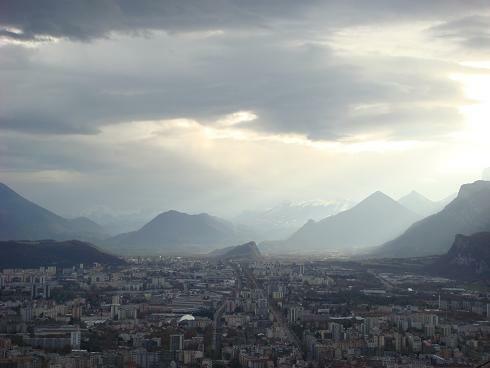 Good to know: When reaching the top (if you reach it), you are rewarded by a splendid panorama on the city of Grenoble. 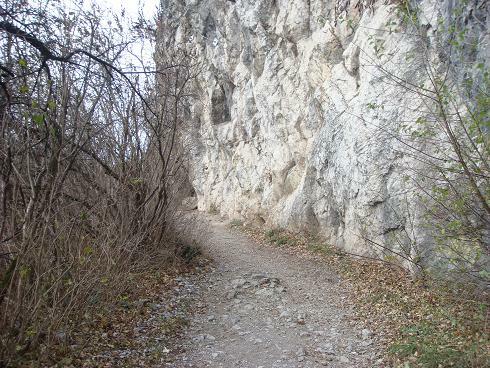 You could also continue climbing on a track above the Bastille, but I didn’t explore this one. Maybe somebody here knows?